As the sun progresses overhead from East to West in the Southern sky slopes heat with direct rays accordingly. 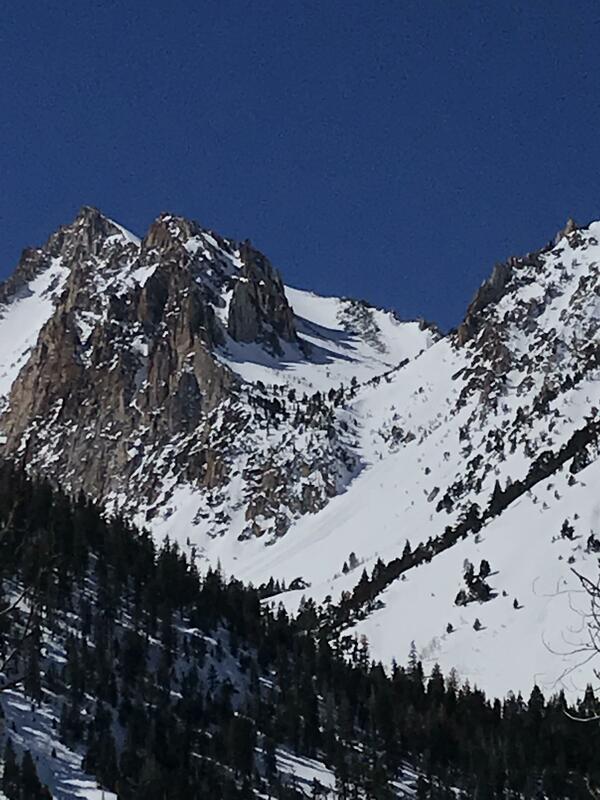 Photo #1 is of a rather large Loose Wet avalanche in the more West drainage of Horse Creek on an East aspect. 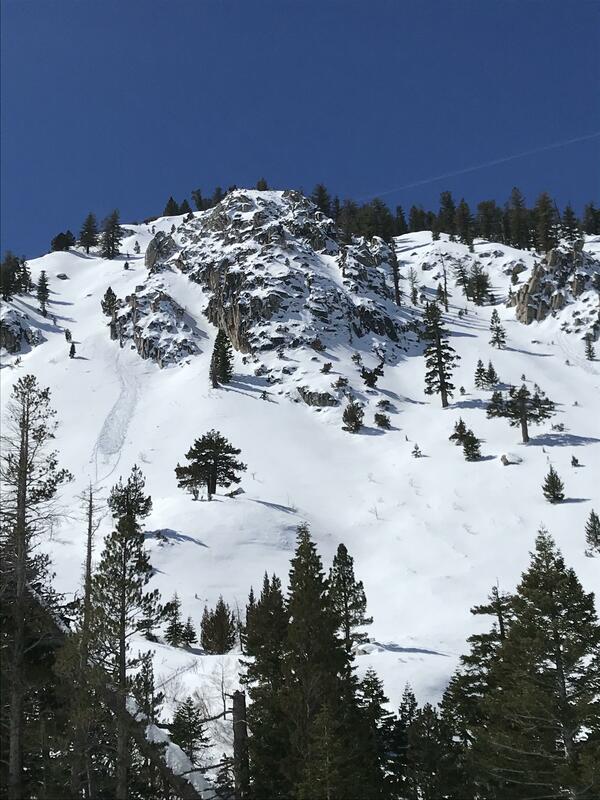 Loose Wet avalanches of this size could bury a person. I ran into a guided group leaving upper horse who told me about another Loose Wet avalanche they had witnessed. They also dug a pit & found buried Graupel on the bottom of the first large headwall, I could not find any in my location. 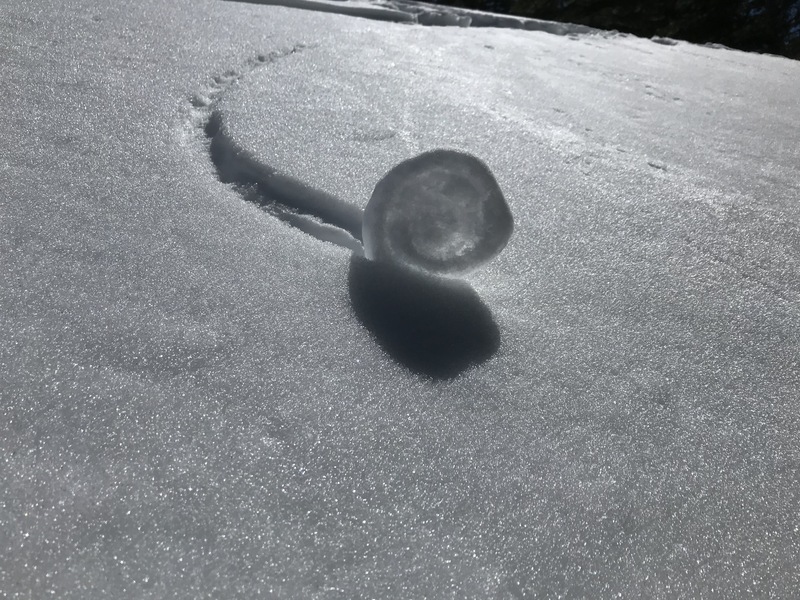 I found an average depth of snow to be 180cm with a solid melt-freeze crust 60cm down that was pencil+ hardness. Old Wind Slab crowns still linger in the upper cirque in ski terrain. Most sun this winter with no winds. 6.6C was the shaded air temperature just below 10K'. Surface melting was occurung rapidly.